Absolute Comfort is the best! They replaced our furnace and A/c unit, new ductwork, all done wonderfully! (They cleaned up well too! ) professional, fast, reasonable and QUALITY work. Highly reccomend! I just got off the phone with Chris the owner and said to my husband "you know what, Absolute Comfort has the best customer service and are always so friendly to work with. They are probably one of the better companies I've worked with ever!" At that time I knew I had to write a review. You shouldn't have a problem in the hands of this company! Their entire staff is friendly and responsive. I use them for all of my plumbing needs because they are knowledgeable, trustworthy and professional in every way a customer would want and expect. Many claim to be the best but Absolute Comfort actually proves it. strive to make and keep our customers comfortable all day every day! 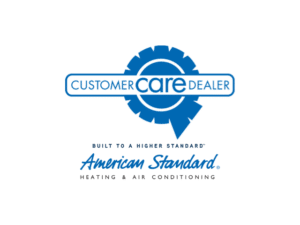 Contact us today to get a quote or to receive more information on an American Standard Heating and Air Conditioning product.